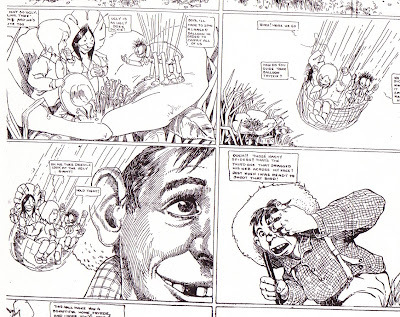 ‘John Gruelle, the artist, used to sit at his drawing board in the Star office, having barrels of fun out of making Jim and Jane Crow, and the pig and the crow on the market page. Then he gave these, who he calls “dear little comrades” up when he was called to other fields. He kept at drawing little original characters until his pencil just naturally makes dainty tiny fairy like things. And Mr. Gruelle says: “I feel that I owe my success (if one can call it success) to the training I got on The Star. The boys worked in harmony and were always glad to help each other out when the occasion demanded. 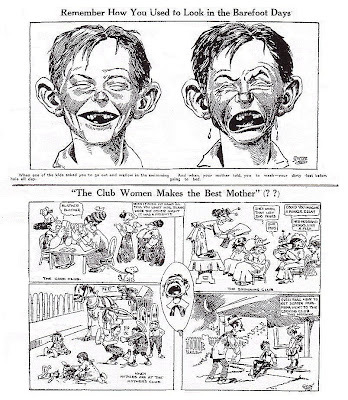 The editors did not forget that at one time they were on the bottom, and they too had had their struggles.”’ > July 2, 1911, Indianapolis Star. John B. Gruelle was the son of renowned Hoosier landscape artist R. B. Gruelle, and was born December 25, 1880. His first employment was as a chalk-plate artist for a number of small Indianapolis newspapers. He went to work on the Indianapolis Star where he originated the well-known “Weather Crow,” and supplied comics to the supplements and comic magazines of the day. 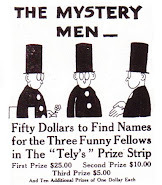 Mr. Twee Deedle (originally Mr. Tweedledee) began as a contribution to a $2,000 prize competition for a new comic strip feature, put on by the New York Herald in 1910 while Gruelle was living with his father at an old mill on a stream, near the town of Norwalk Connecticut. 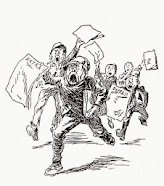 Mr. Twee Deedle ran in the New York Herald until 1918. 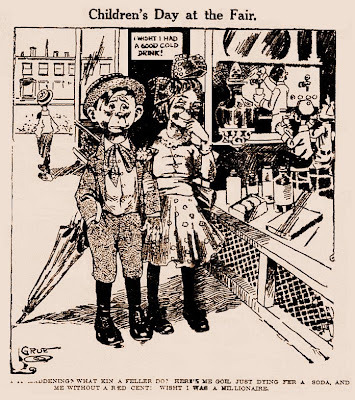 Gruelle turned more towards book illustration and supplied drawings to a book based on James Whitcomb Riley’s ‘Little Orphant Annie’ poem for Bobbs-Merrill in 1921. He wrote and illustrated Raggedy Ann which sold more than three million copies upon release and gave birth to a hugely successful series of books. 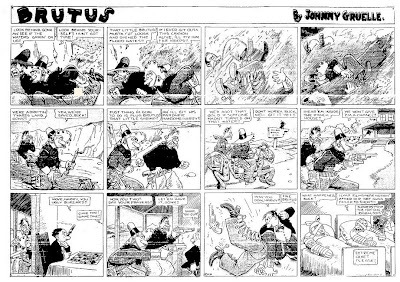 He began another comic page, “Brutus,” for the New York Herald in 1930. Gruelle died in Miami Florida of a heart attack January 8, 1938. Wow! 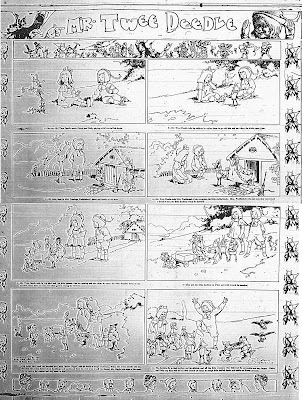 What's the approximate date for the second image (the excerpt from a larger strip)? That one is from Mr. Twee Deedle and approximately 1912. Looks a bit like one of those painless dentistry "It Didn't Hurt a Bit" kids don't it? The boldness of the layout is striking... very post-Nemo. 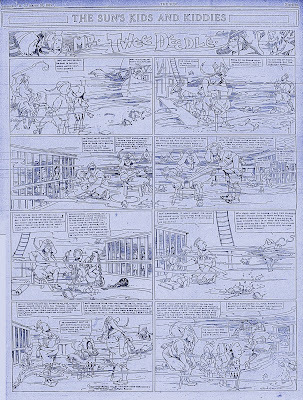 I don't have the full page of that -- may have to go have a look for the full page when I have time. Always great fun reading your stuff, John and viewing the artwork you post.